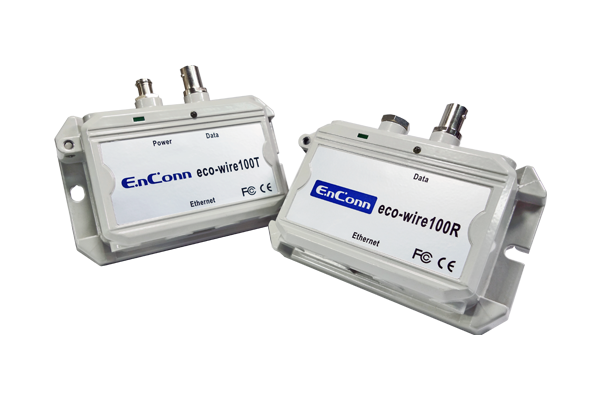 The eco-wire100 enables Ethernet data to go coaxial cables. It gets power through a 24V DC adapter. By adopting our technology, the transmission distance of data can reach 200~ 300m coaxial cable. 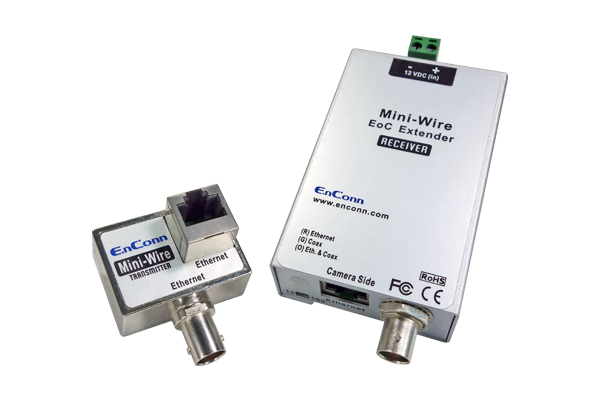 The Mini-Wire enables Ethernet data to go over coaxial cables. It gets power through 12V DC. By adopting our technology, the transmission distance of data can reach 150~ 250m over coaxial cable.